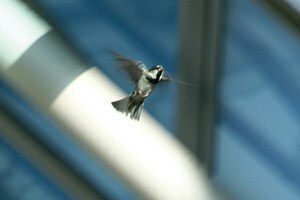 An ode to airport-dwelling birds. In George W. Bush’s Healthy Forests: Reframing the Environmental Debate, authors Jacqueline Vaughn and Hanna Cortner demonstrate that under Bush, "there has been a rollback of environmental standards and regulations." Mary Sojourner has written 50 vignettes in "Bonelight: Ruin and Grace in the New Southwest," a book of personal stories revolving around her hometown of Flagstaff, Ariz.
John Nichols' new novel, "The Voice of the Butterfly," is an environmental morality play that pulls no punches. In "Fool's Gold: Lives, Loves, and Misadventures in the Four Corners Country," Rob Schultheis tells of life in Telluride, Colo., from its ramshackle hippie days in the 1970s to its growth into an expensive ski resort.